Let´s introduce you to a new concept, born out of one man´s obsession with creating the perfect pizza experience - it goes by the name ‘Pizzamos’. 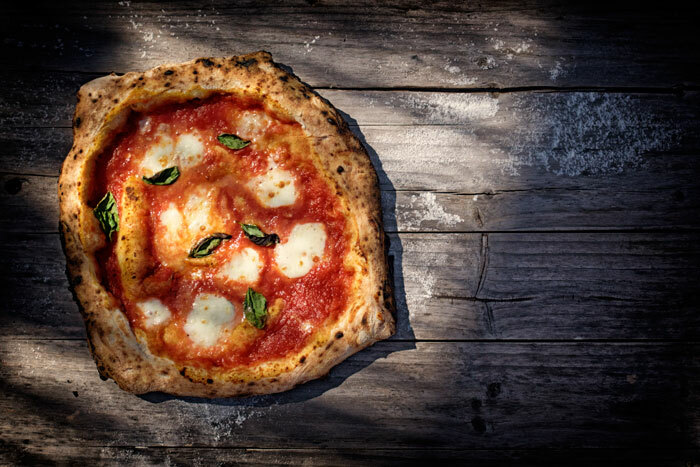 Peter Staes created this concept so he could bring the best of Neapolitan pizza to the Costa del Sol. Pizzamos makes the perfect authentic Neapolitan pizza and brings this catering concept to the Costa del Sol. By bringing the special oven it is possible to create fresh and authentic pizzas at any place. The Pizzaiolo will produce pizzas every 2-3 minutes and that makes it easy to have a fun and delicious pizza experience. Peter Staes, the creator of Pizzamos has always loved pizzas and he wanted to be able to create the perfect authentic Neapolitan pizza. After training as a chef, visiting the birthplace of pizza multiple times and then sourcing all the best fresh ingredients to match the Napoli´s own pizzas, he is proud to be able to bring you a delicious, healthy pizza with respect for the tradition and history of Naples. Of course he spent a considerable amount of time creating the authentic dough and sourcing the freshest ingredients from local ecological farmers. The fast cooking process ensures the genuine thin base and tender ‘corniccione’ puffy border. Peter Staes´ love of pizza overlaps into every aspect of his life, from his choice of career to his photography. His love of Spain was solidified into a permanent move when he fell for a little finca in the Andalusian countryside, which just so happened to have an open wood-fired oven.